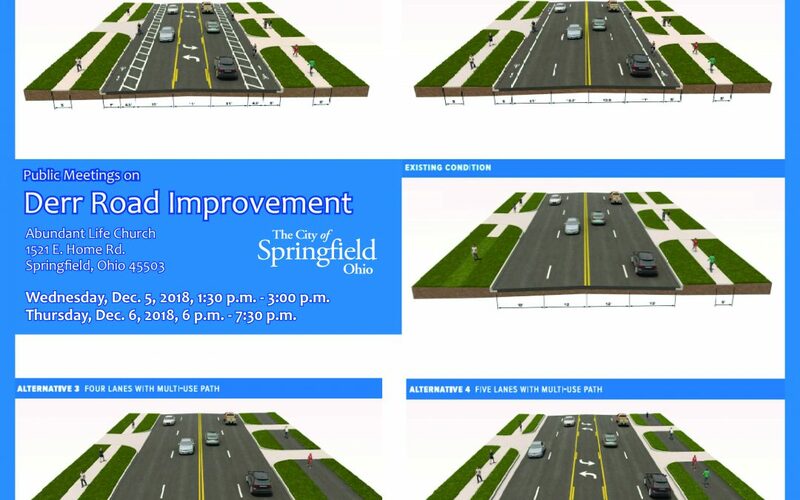 Take this opportunity to provide your input and comments regarding the Derr Road Corridor Improvement (Home Road to Villa Road). Meetings will be on Wednesday, Dec. 5 from 1:30 to 3:00 p.m., and Thursday, Dec. 6 from 6:00 p.m. to 7:30 p.m. Both meetings will be held at Abundant Life Church, 1521 E. Home Road. There will be a brief presentation regarding the project and citizens will have the opportunity to make public statements and ask questions. For further information or special accommodations, contact Leo Shanayda at 937-324-7310 or email lshanayda@springfieldohio.gov.